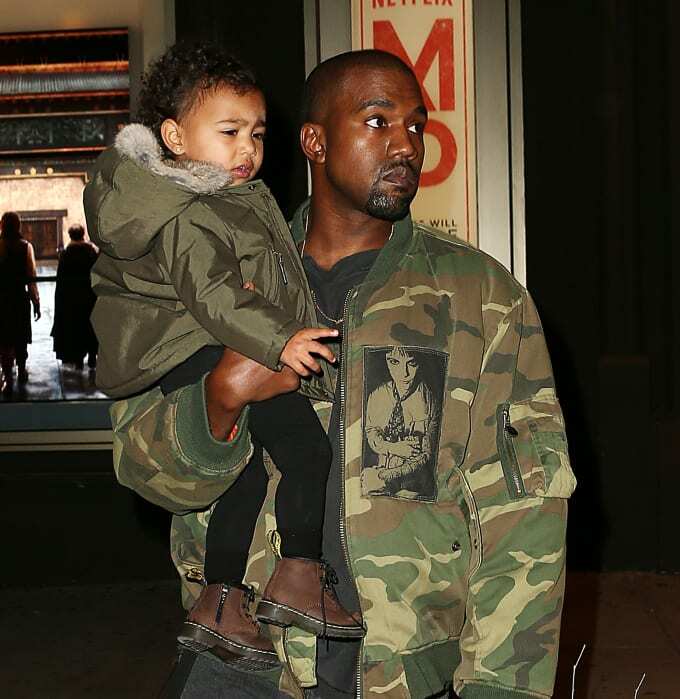 Kanye West seems to have a knack for co-signing brands before anyone else, and Raf Simons was definitely one of them. Yeezy has been a fan of the brand since he first started showing interest in high-end fashion labels, so much that he even interviewed the Belgian designer for Interview Magazine back in 2008. 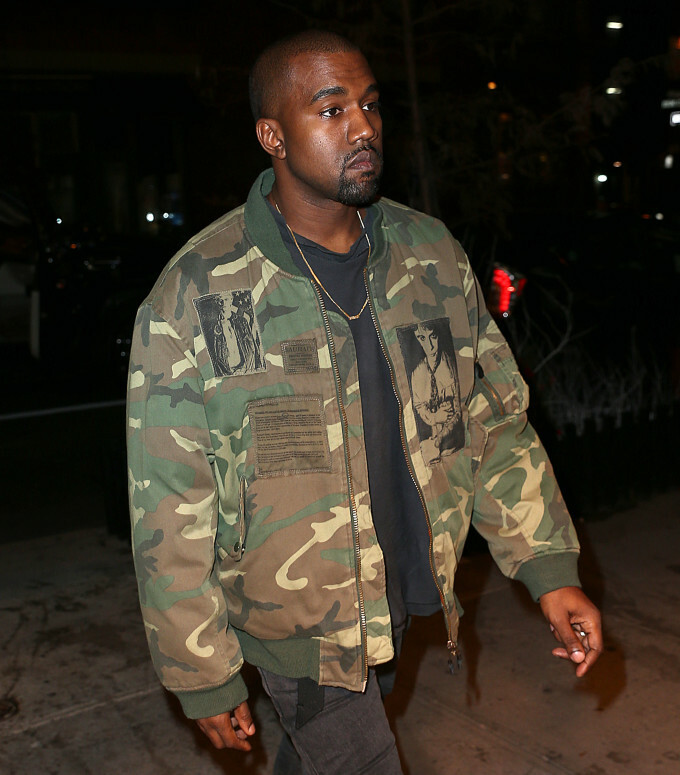 It seems Ye’s love for the label hasn’t waned, as he was spotted out in New York recently wearing a camo jacket from the designer’s Fall/Winter 2001 collection. The collection marked Simons’ return after a missed season and was characterized by an angry, defiant mood—Simons himself said that his influence was “riot, riot, riot”—that saw models go down the runway with obscured faces and oversized clothes. This was before street and sportswear had infiltrated high fashion, so the result was something that hadn’t been seen before. 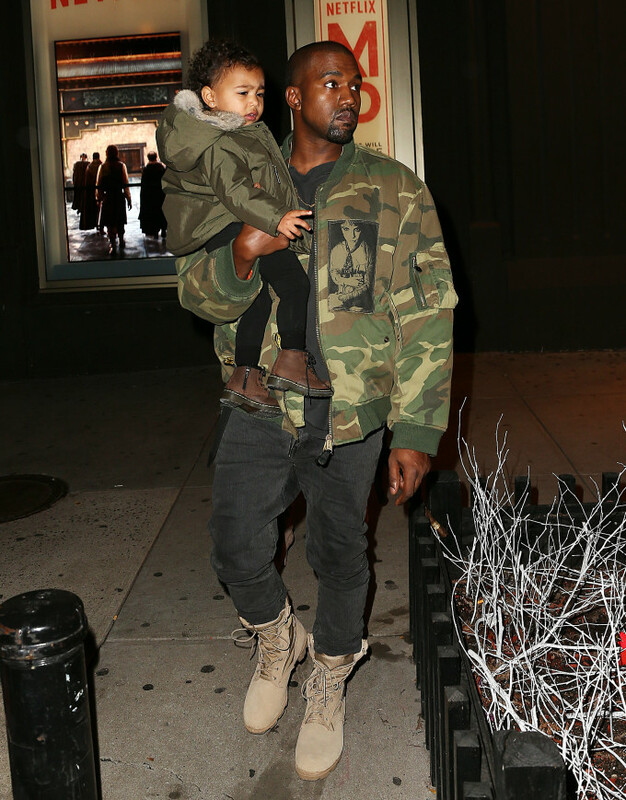 Kanye completed his look with a pair of standard issue army boots and his most priceless accessory—baby North, who rocked a miniature version of her dad’s outfit as she has been known to do from time to time.